As long as there are no more frosts, the 2015 Pennsylvania spring weather should result in a great acorn crop for both 2015 and 2016 said Pennsylvania Game Commission Forestry Division Chief Dave Gustafson. How can he predict the 2016 crop? 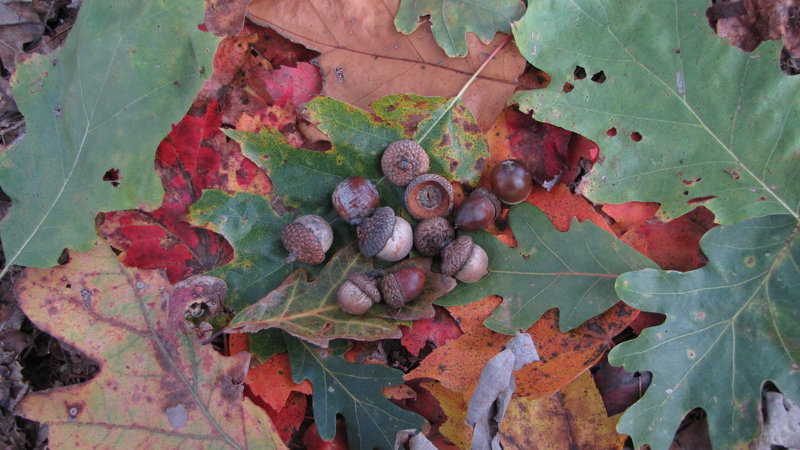 There are two oak groups with differing acorn production schedules. Oak trees are classified into one of the two oak groups based upon physiological differences. The white oak group includes white oak and chestnut oak. The acorns from the trees in this group mature in one year. The flowers produced in the spring result in acorns the same fall. The red oak group consists of red oak, black oak, scarlet oak and pin oak. Oaks in this group require two years to produce an acorn. Spring oak blossoms will not mature to an acorn for 16-17 months. The best acorn crops seem to follow warm spring weather. Acorns require dry weather for about a week in mid-May when the tree produces pollen. The weather during that week is critical to acorn production. If it is cool and wet during the time of pollen production or if a frost hits the tree after it has produced pollen, it will result in a poor acorn crop that fall. The same weather conditions that influence the white oak group also affect the red oak group. However, the results of the weather are not manifested until about a year and a half later. Acorns from the red oak group do not send down roots until the following spring. This is because these acorns require a cold period to germinate. White oak group acorns on the other hand send out a radical (root shoot) almost immediately to establish a root before the winter. For this reason, red oak group acorns are a more available food source through the winter than white oak group acorns. Overall, acorn production is highly variable among trees even in good seed years. Some trees are always poor producers while others are always good producers. Crown size seems to be the most important tree characteristic affecting acorn production. Dominant or codominant trees with large, uncrowded crowns produce more acorns than trees with small, restricted crowns. Another factor in acorn production is stress on the trees. 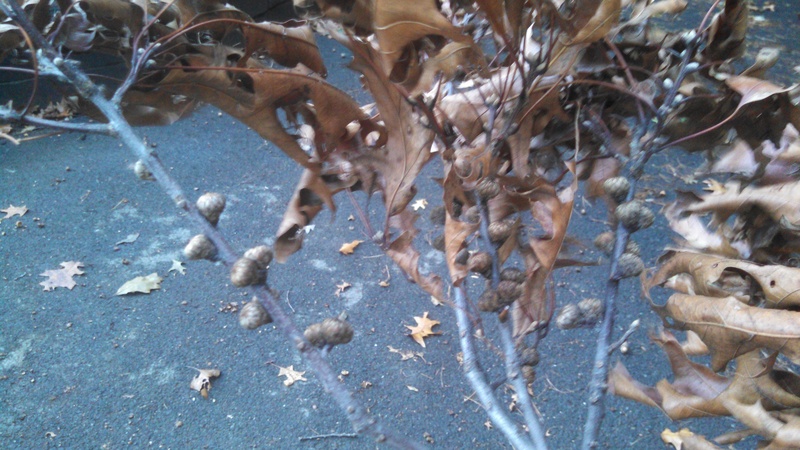 Insect defoliation, drought, fungus, and other stresses can limit acorn production. In some years of extreme stress, oak trees will even abort the developing acorn crop in order to redirect nutrients to keeping the tree healthy. In years following a stress event, most of the energy is used to rebuild and heal instead of going toward acorn production. This could cause smaller acorn crops for a few years, even when all other conditions seem perfect. Both oaks begin to produce acorns around age 30 or so, but usually do not produce big crops until about age 50. Bumper crops for reds are usually about five years apart, whites can be farther apart. In summary, the two main factors that affect acorn production are spring weather and tree stress. How long does it take an acorn to mature? White oak acorns mature in about four months, red oaks in 16. Therefore, if pollination is mid-May, then the acorns will drop in mid-September. How long do oak trees drop acorns? Which type of oak produces the smallest acorn? White oaks produce the smallest acorn. Red oak and black oak acorns are medium-sized. Chestnut oaks produce the largest acorns. Which acorns do wildlife prefer? White oak and chestnut oak acorns are low in tannins, which make them more palatable than red and black acorns. Chestnut oaks have a high carbohydrate level and thus are the favorite for bears.